That it stands for Indian art, contemporary designs and being ethical all the way. 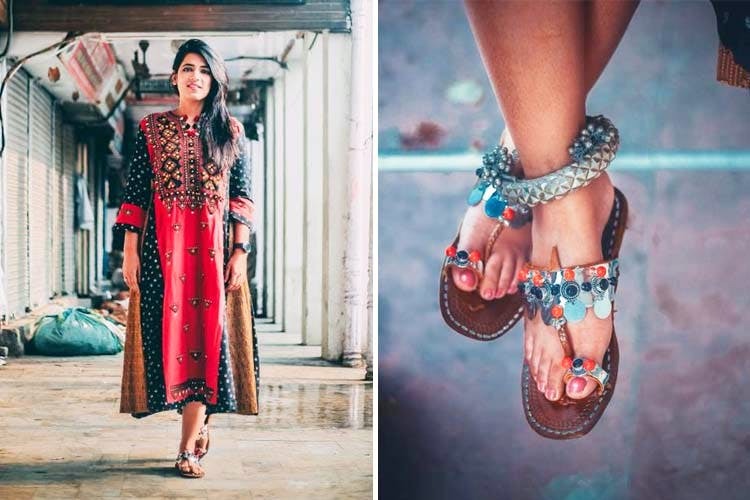 One look at Sitara’s insta handle, and you’ll know how much pride they take in promoting (and showing-off) traditional colours, prints, patterns and styles and twisting it to fit the boho palate. Everything they sell (including kurtis, dresses, suits, accessories and kolhapuri chappals) is hand-made in Maharashtra, and designed with the help of artisans from Jaipur. The fabrics, too, are completely organic and handwoven. I absolutely loved their kohlapuri chappals because every single one is unconventional and a style statement in it’s own right. The only bummer is that they’re limited, so you have to get your hands (or, rather, feet) on them ASAP.